It’s friday again. And Friday is portrait day on our blog. 🙂 is on this week. 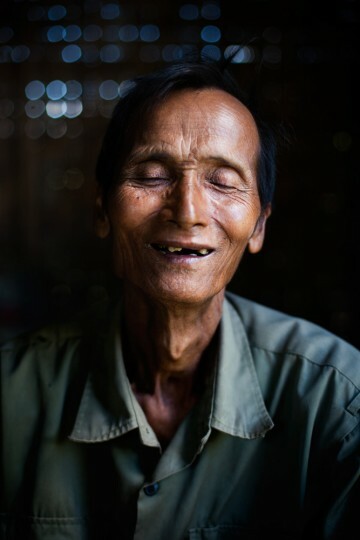 I photographed this guy in a small village inside the Hin Nam No NP in southern Laos while working there for GIZ. Big John is a two time Golden Gloves Champion who has now been training boxers at the famous Gleason’s Gym in DUMBO for the last 7 years. I shot this picture of Big John (whose incisors are golden) with a 4×5″ large format camera.